What a difference a day makes! From sunny and warm to raining and cold. 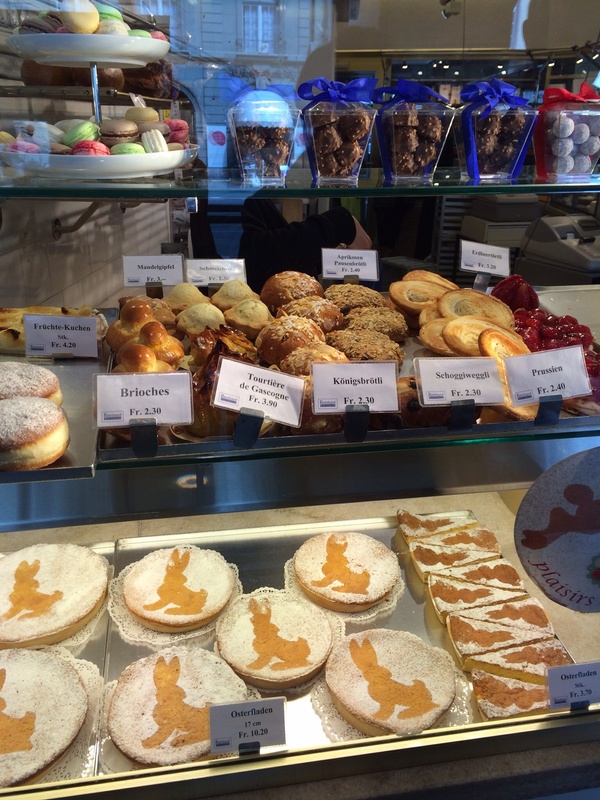 Our plan for some forest walks was decidedly changed so we took to the road on Good Friday and headed off for some culture in Basel. 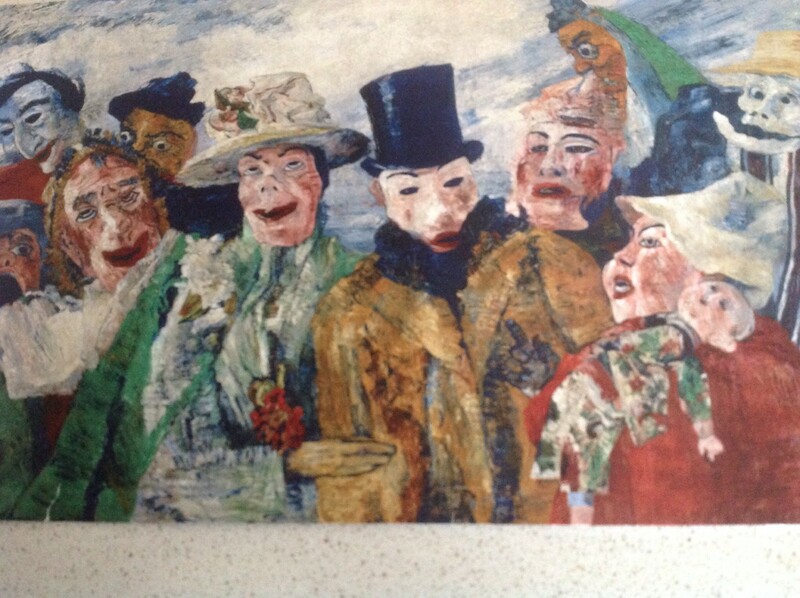 We had found that there was an exhibition of The Belgian artist, James Ensor, on at the Kunstmuseum which also boasts of works by Renoir, Munch, Picasso and Monet … just to name a few. In order to be able to explore and wonder at the square metres of artworks we were in need of warmth and sustenance so we headed straight for the cafeteria. After this we wandered down to the square and the Cathedral which looked as if it’s roof was wearing a crocheted blanket. The shingles were of three or four different colours and in a distinctive pattern of greens and reds. 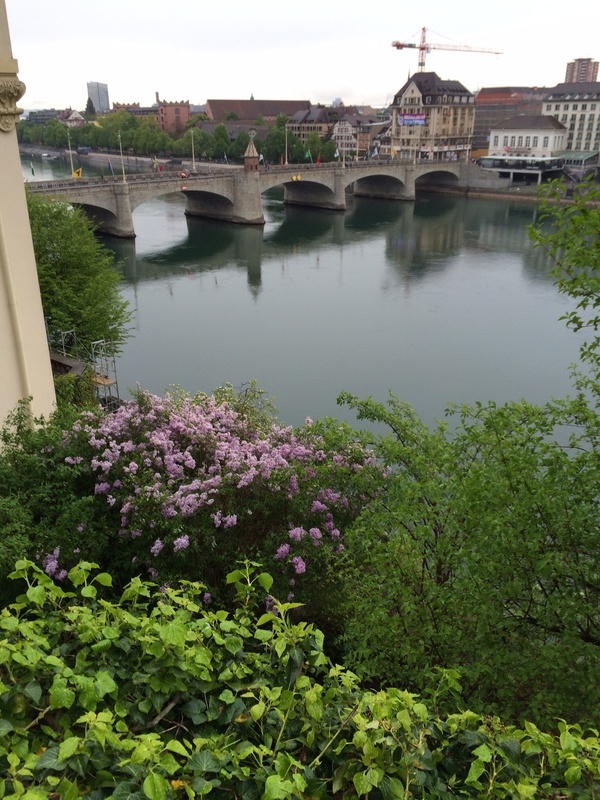 Basel is on the Rhine and has one of the oldest universities in Switzerland. On Saturday it was not as rainy but much colder. 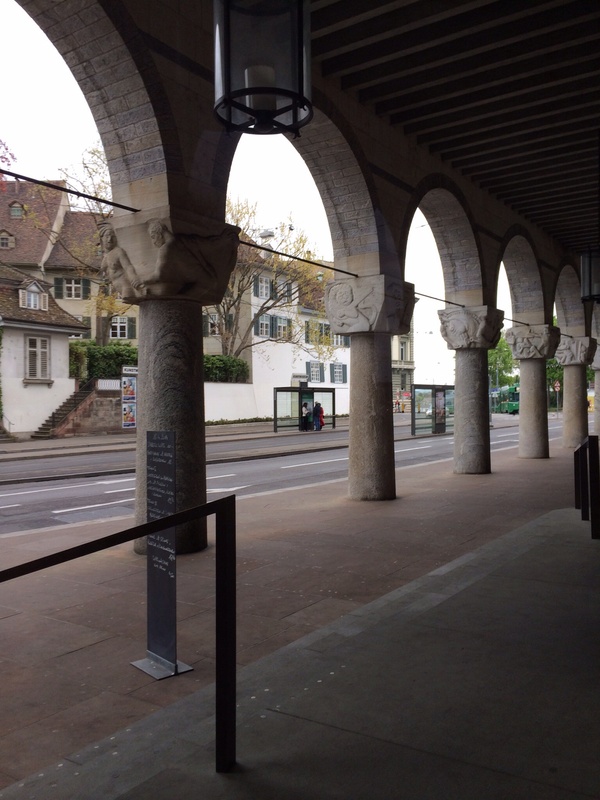 Armed with beanies, coats, gloves and boots we headed for the capital of Switzerland, Berne. Here it was all colour, noise, jostle and tussle as everyone was madly buying their food for the Easter holiday weekend. My cousin told me that they may have been feeling disappointed at the weather as they would have been hoping to celebrate outside with their families – preparing the barbecues and pulling out the garden furniture from its winter hidey hole. 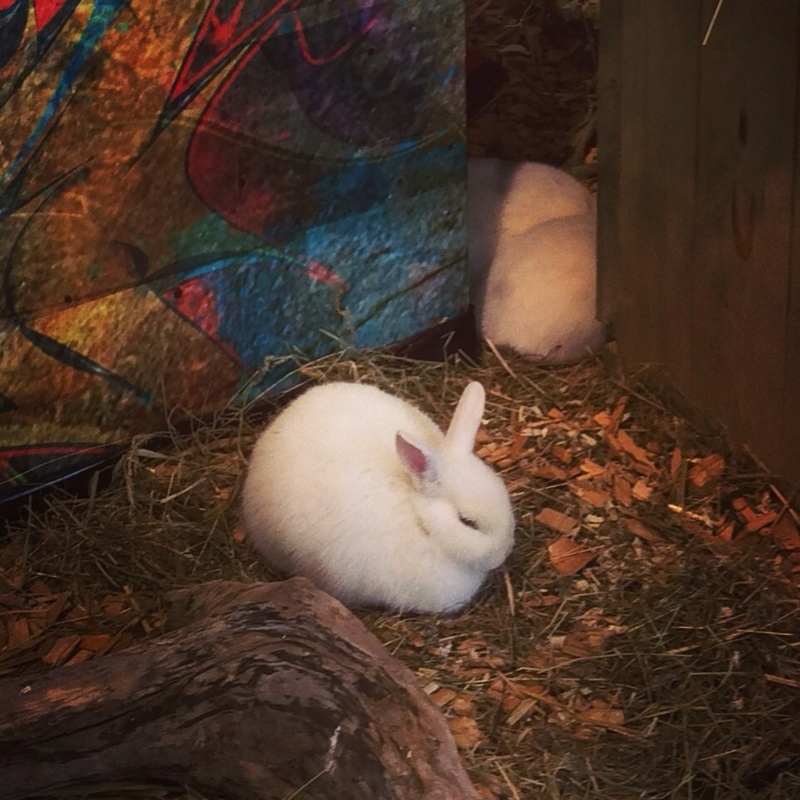 The stores had rabbits, real, ornamental and edible in most of their windows. The market tables were groaning under the weight of fresh, lush produce. 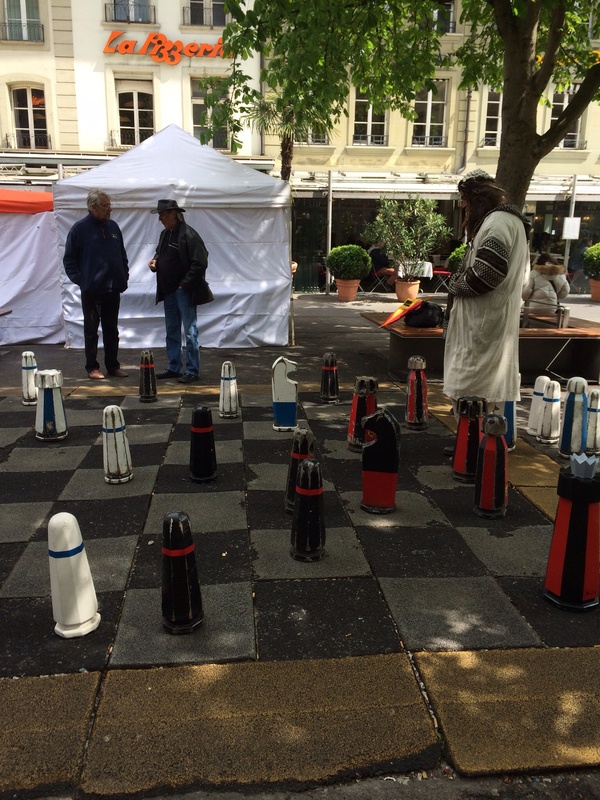 There were men playing an oversized chess game in the market place and tourists were pouring in to see the Berne bears being fed. Berne has had bears for hundreds of years and it was amazing to see them excitedly cavorting over their hillside enclosure before being allowed into the feeding pit where food had been hidden all over the place for them to forage for. The youngest bear found a watermelon and gobbled it down as quickly as he could before the largest bear caught him and made short work of the rest of it.